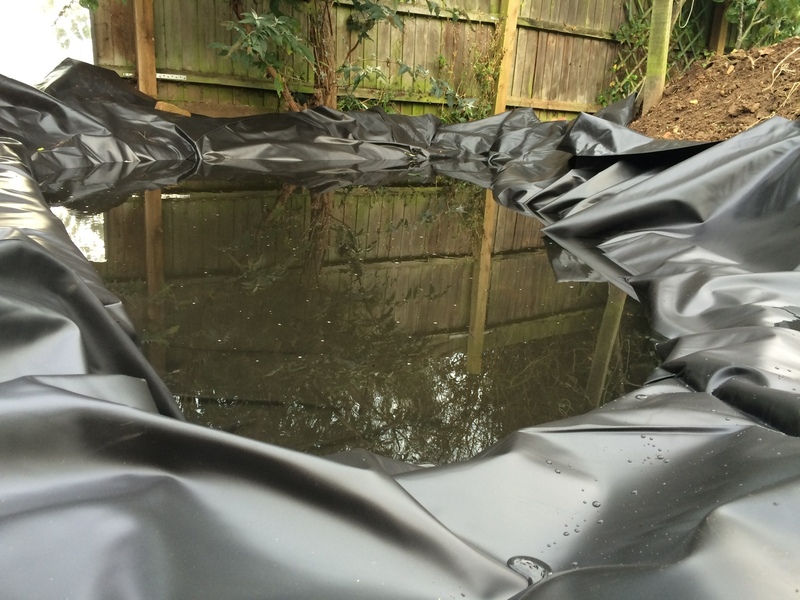 A pond is a wonderful addition to a garden, but it's important that you take some simple measures to avoid disappointment down the line. Firstly, try to be creative when digging the hole. 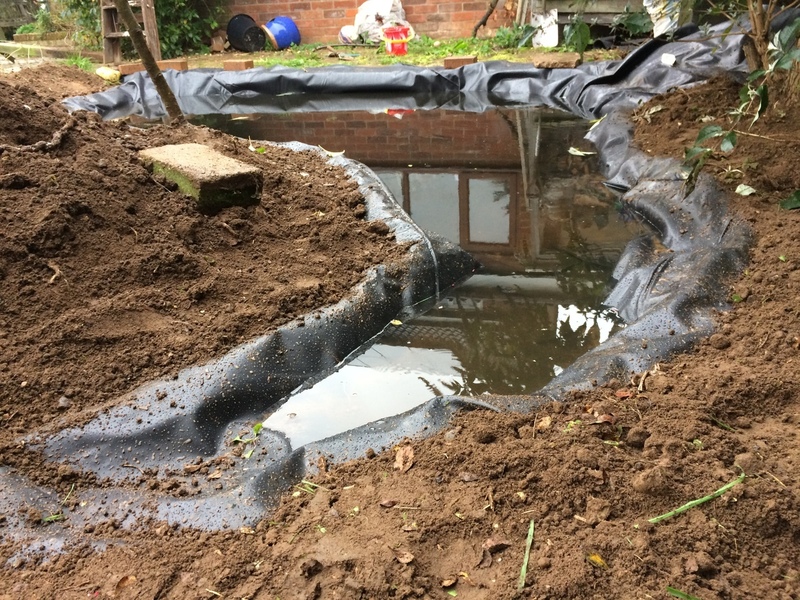 Make sure that the deepest part is at least 70cm deep, preferably 1m if you can manage all that digging, and include generous quantities of shallow, flat areas around at least one corner. 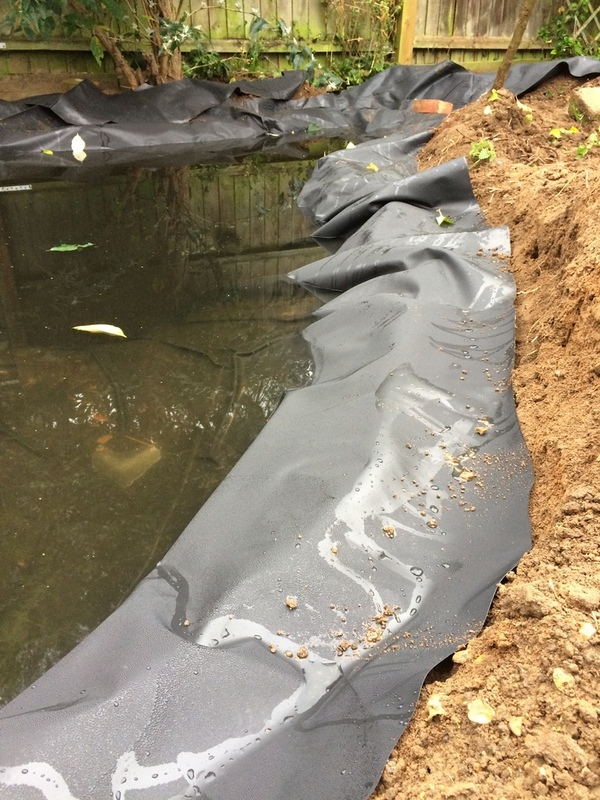 Dig a little channel all around the edge; the pond liner will tuck into this later on. 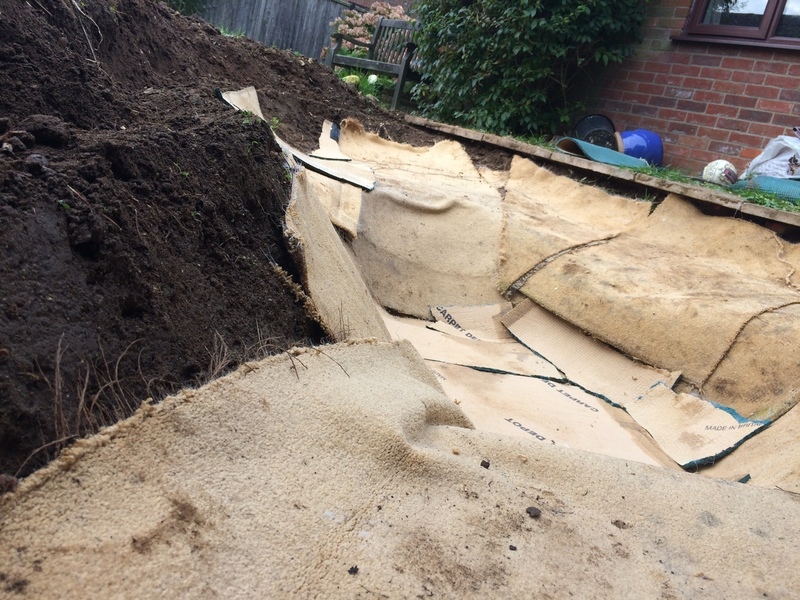 When you're done digging, pick out as many stones as you can and lay down some old carpet to act as a protective layer. 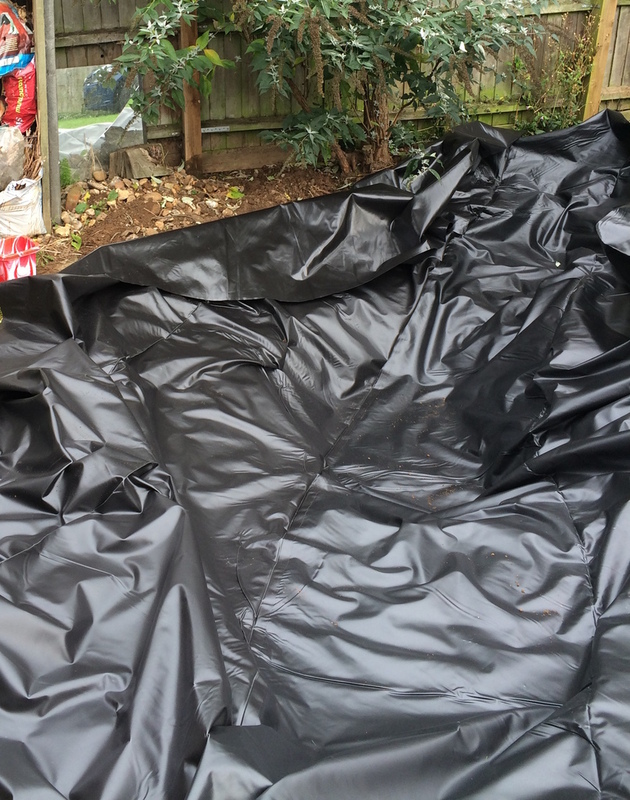 The pond liner needs to be quite large. 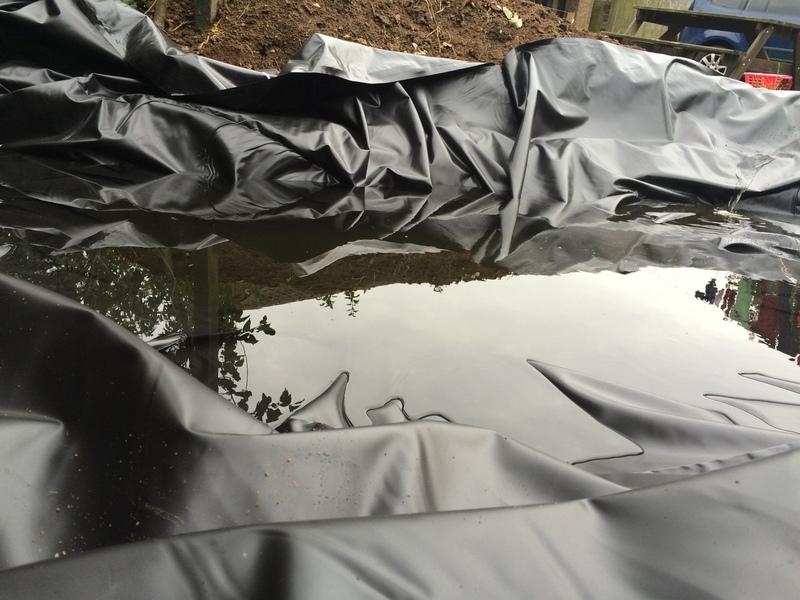 For this pond I applied the standard rule of adding twice the depth to both the maximum width and the maximum length of the pond. 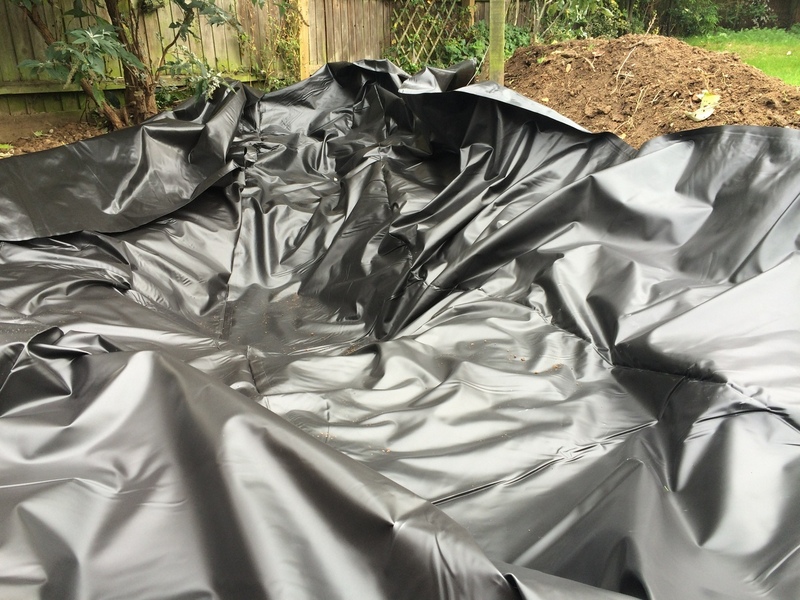 For me it meant that I needed a seemingly-massive 4x6m sheet of liner, but there wasn't much left over once it was installed. 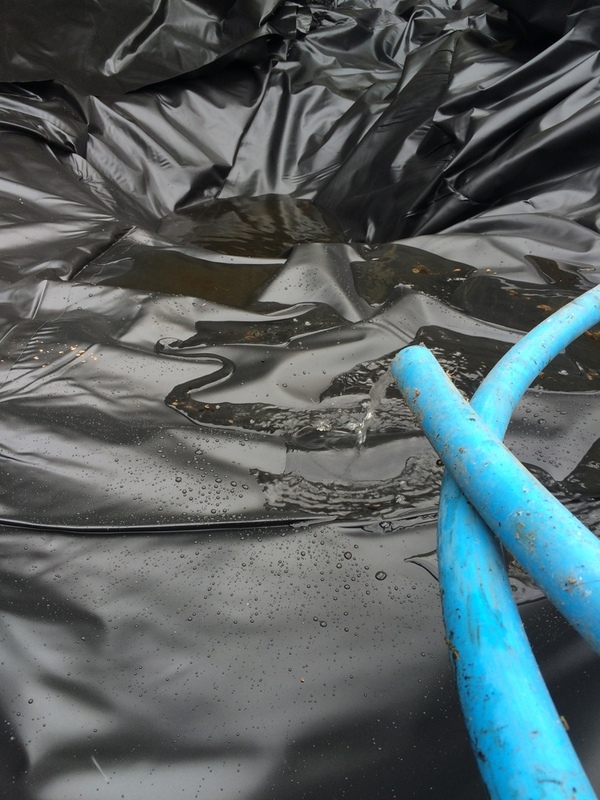 Lay the pond liner centrally over the hole and start filling it with water, making small positional changes if you need. It's best to use rain-water if you have it. 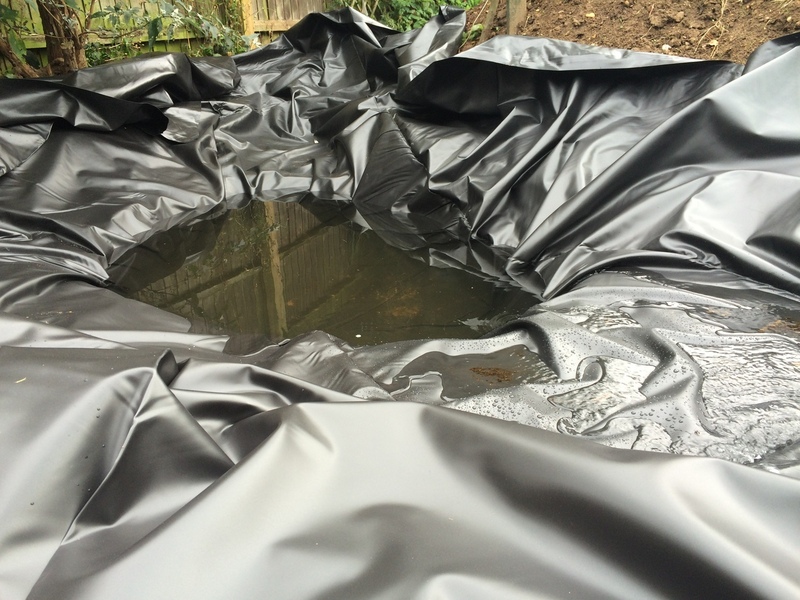 Ideally, watch the weather forecast and install the pond before a period of wet weather! 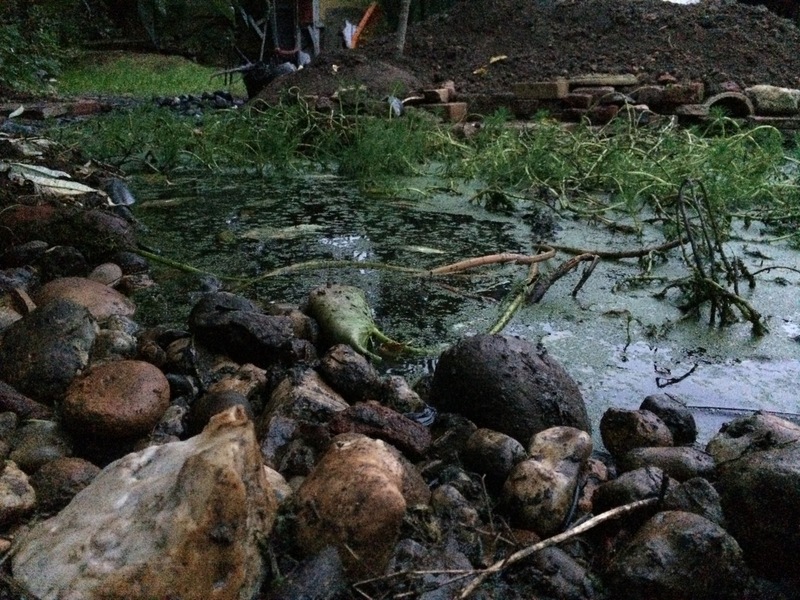 An old garden pond: carpet doesn't perish! 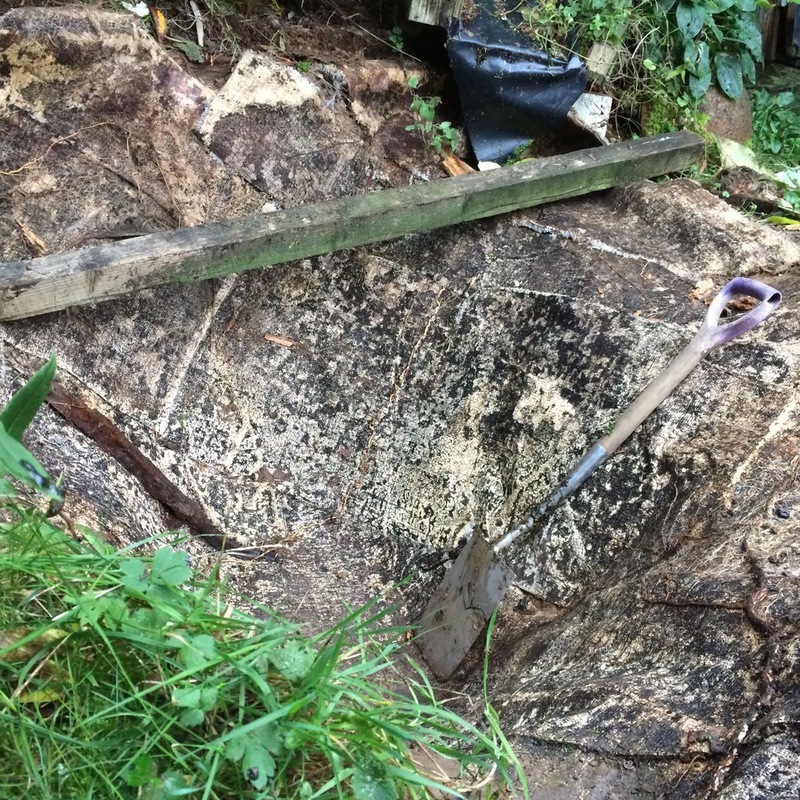 Landscaping rocks come in a variety of sizes from tiny pea gravel to large boulders. 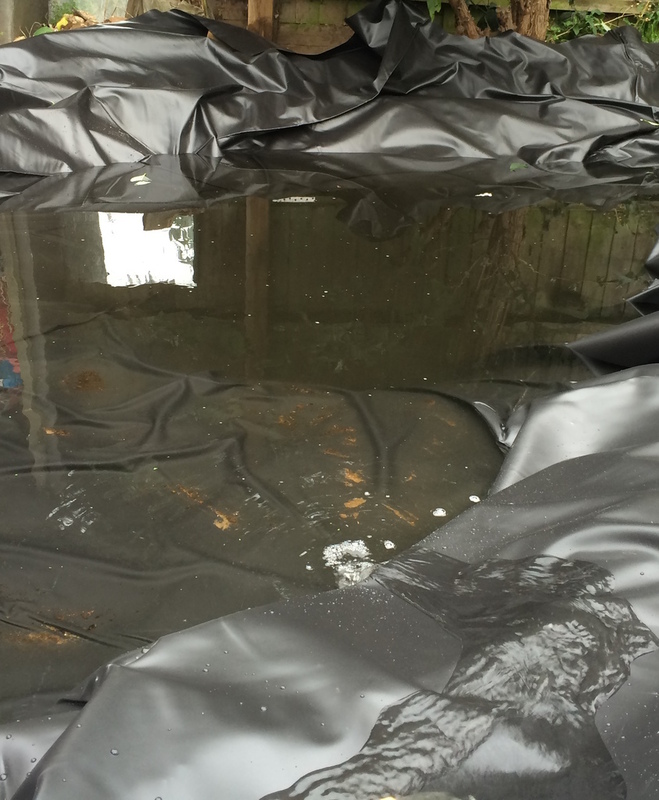 For pond care, Pondpro2000 is a good one to rely on. Early potatoes are growing well! What is your ideal garden boundary?